Professor Fiona Haslam Mckenzie was educated in Western Australia and the United States and has a varied academic background including a PhD in political geography, researching the effects of demographic and economic change on rural communities in Western Australia. 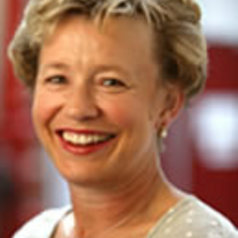 She has extensive experience in population and socio-economic change, regional economic development and analysis of regional and urban social indicators and has published widely and undertaken work for the corporate and small business sectors as well as all three tiers of government, both nationally and in Western Australia. She has undertaken work investigating the provision of housing in the Pilbara and Western Australian Goldfields, housing affordability in sea change and tree and land use conflicts in agricultural communities. Professor Haslam McKenzie is currently a professorial fellow at the Curtin Graduate School of Business and leads the Regional Futures project for the CSIRO Mineral Futures Collaboration Cluster.